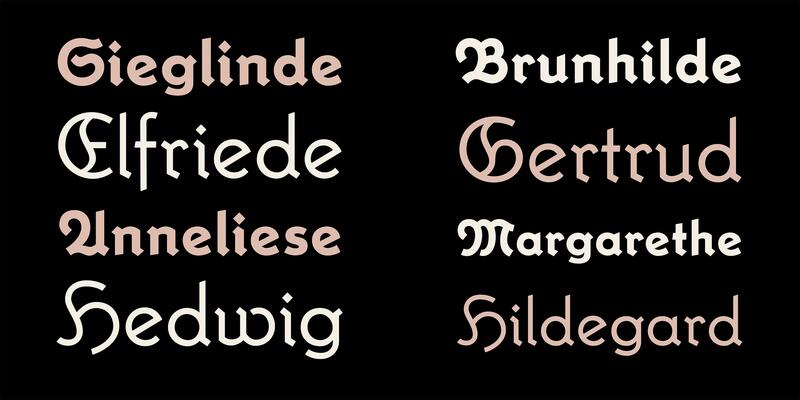 Krimhilde is a typeface originally published in 1933, which is mixing blackletter and sans-serif elements. This article explains the background of its design and the revival from 2018. In 2015 I published a revival of Elfen-Fraktur—a unique monolinear blackletter typeface. With the release of Krimhilde I am continuing on this path. Elfen-Fraktur was originally published in 1919—the year the Bauhaus school was founded in Weimar. The Bauhaus designers had radical ideas about typography. They tried to reduce the letterforms to the most simple geometric shapes and even proposed to stop using uppercase and lowercase together in favor of one alphabet. Their experimental designs didn’t came into broad use, but type designers outside the Bauhaus incorporated some of the ideas. 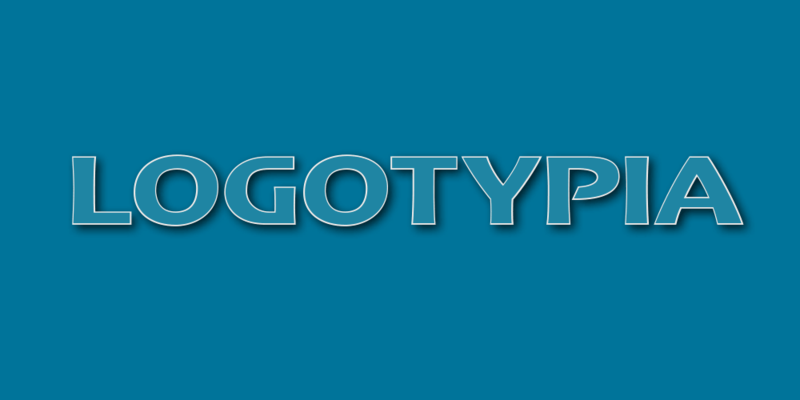 This gave birth to the category of the “geometric sans”, which remains popular until today. Erbar-Grotesk (by Jakob Erbar released at Ludwig & Mayer), Kabel (by Rudolf Koch released at Gebr. Klingspor) and Futura (by Paul Renner released at Bauersche Gießerei) are typical and successful examples of this category. 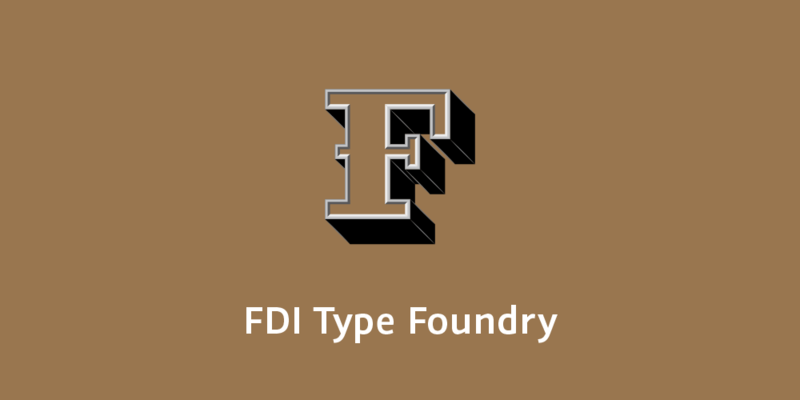 In the 1930s, designers and type foundries started to consider to replicate the popular modernization of sans-serif designs in the category of blackletter typefaces. But how should this be done? The typical German blackletter design of this time was the Fraktur—a rather calligraphic, broad-nip pen design, that wasn’t very suitable to be reduced to simple geometric shapes. So the designers came up with a different approach: They went back to the origins of blackletter—the textura of the Gothic period. Those designs already used a very simple and geometric letter skeleton, but often had elaborate decorations at the same time. By stripping all the decorations, a modern blackletter look was created. 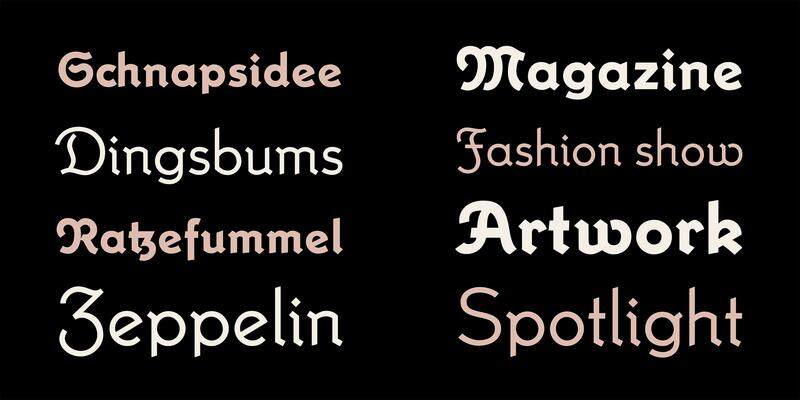 Several of these typefaces started to appear from 1933 onwards, creating a new blackletter category. But there was another benefit in going back to the origins of blackletter. At that time, roman and blackletter designs were much closer together. 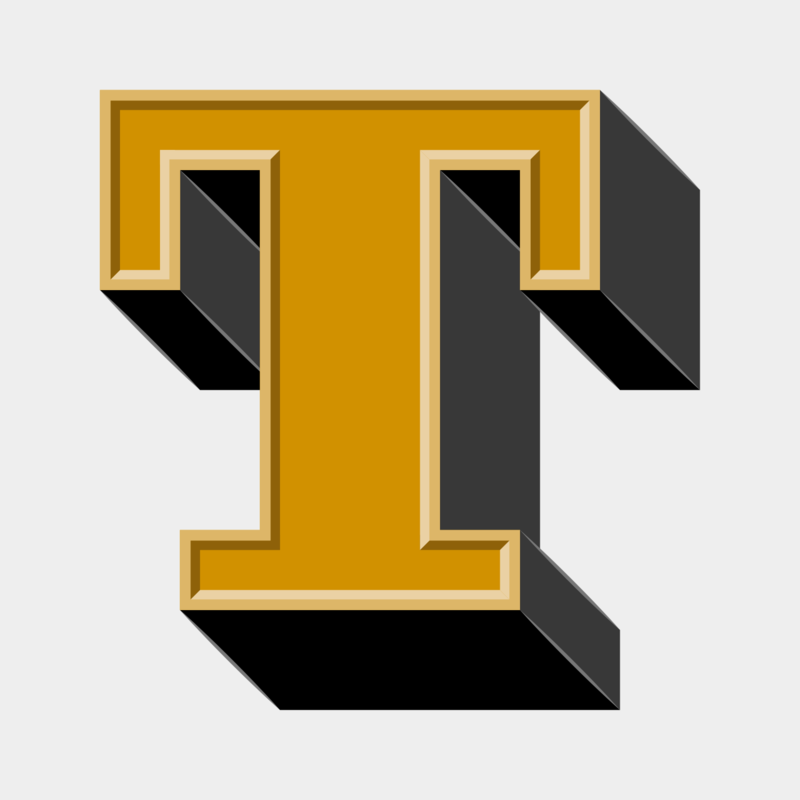 So using the old textura letter skeletons bridged the gap between roman and blackletter designs. 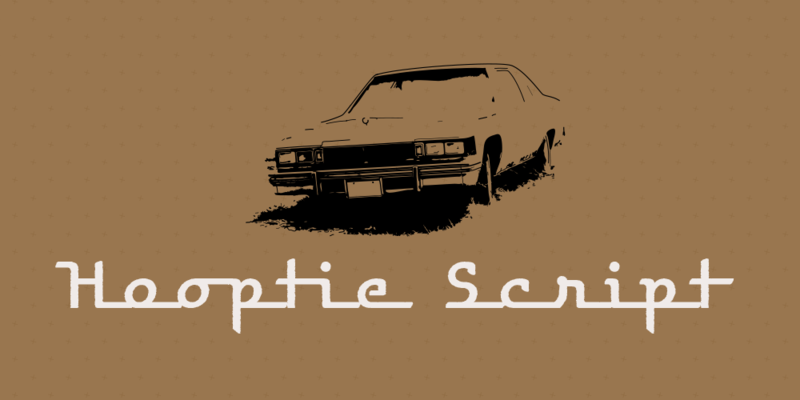 This contributed to the modern look and reduced legibility concerns. And this brings us back to Krimhilde. Its designer Albert Auspurg also tried to bridge the gap between blackletter and roman typefaces to create modern and legible letters. But he chose a different path to achieve this. Instead of going with textura letter shapes, he merged the geometric sans with Fraktur in a rather unique way. 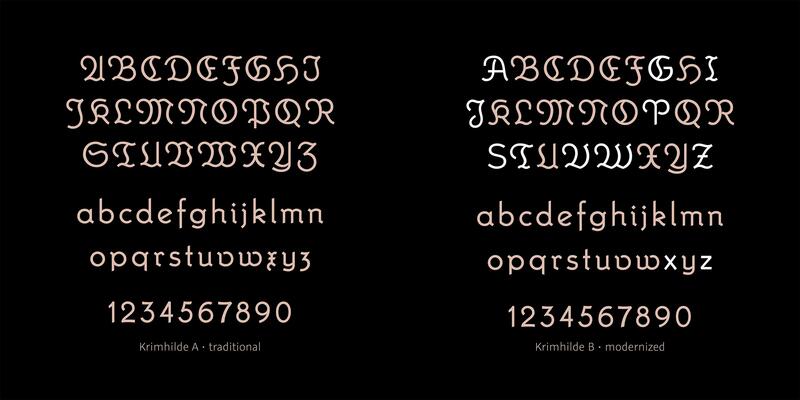 The lowercase letters of Krimhilde use roman proportions and geometric designs, just as typefaces like Futura. 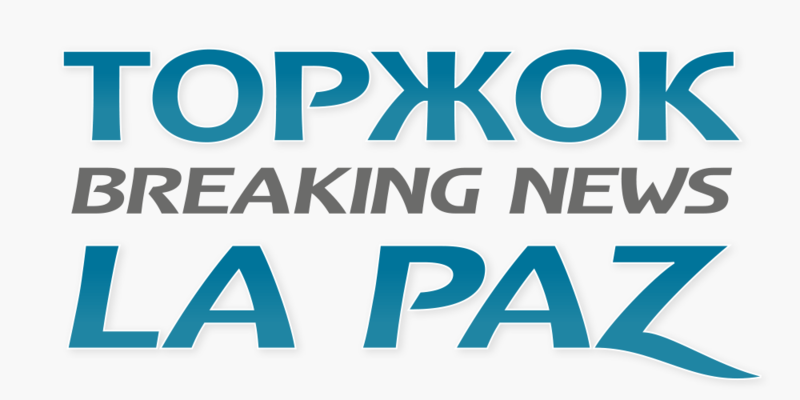 But where possible, a blackletter treatment is added as well. 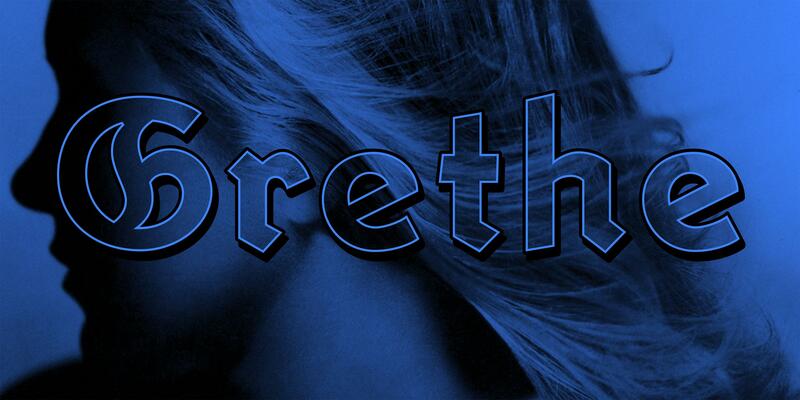 The angular stroke endings are an example of this. 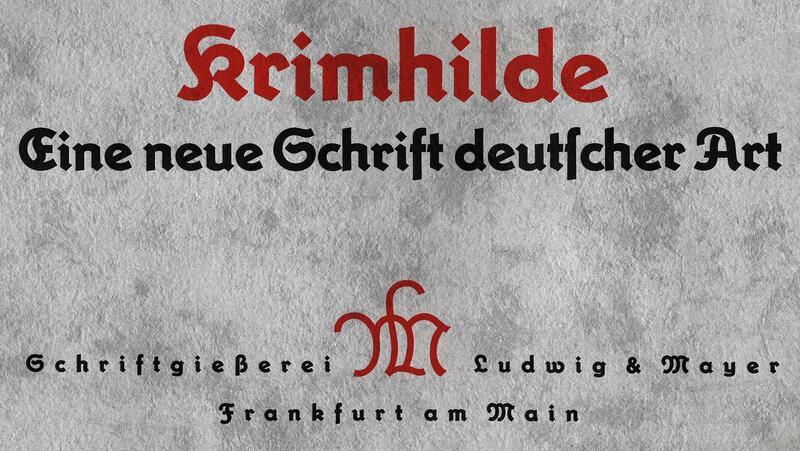 The uppercase letters of Krimhilde use the typical Fraktur designs, but in an unusual monolinear application. Krimhilde was published in a regular and a bold style. It didn’t became very successful in the 1930s. 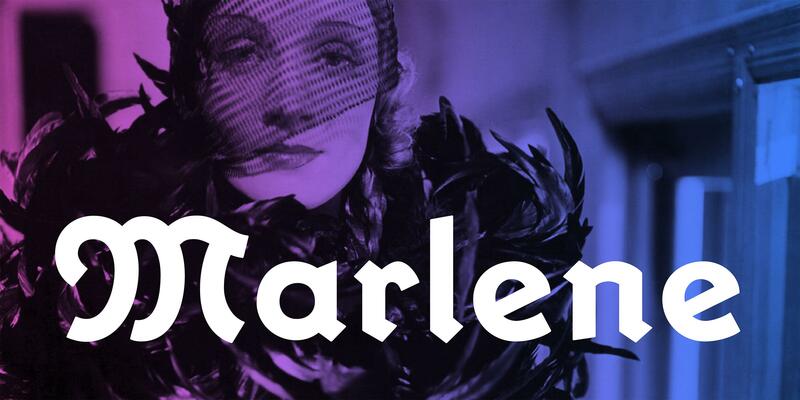 After World War II, blackletter came out of use in Germany and so there was little demand for any of the modern blackletter fonts from the 1930s. 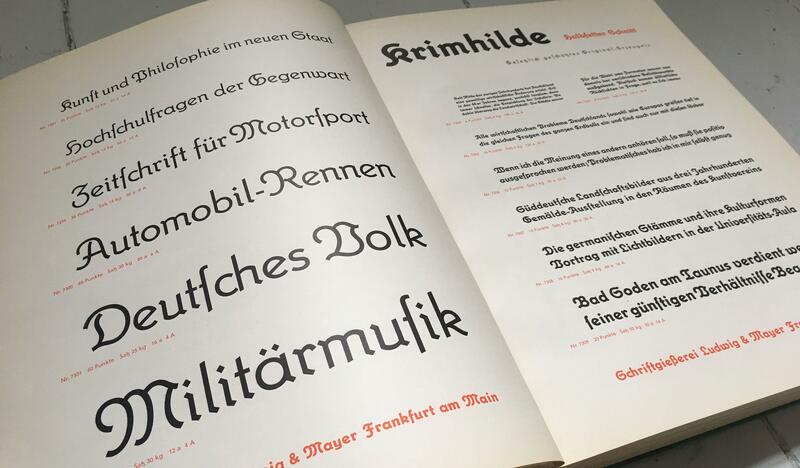 Krimhilde was dropped from the catalogs of the type foundry Ludwig & Mayer and became forgotten. But I believe Krimhilde has its charm and so I decided to revive it. Just as with Elfen-Fraktur, I did not just digitize the outlines from scans. 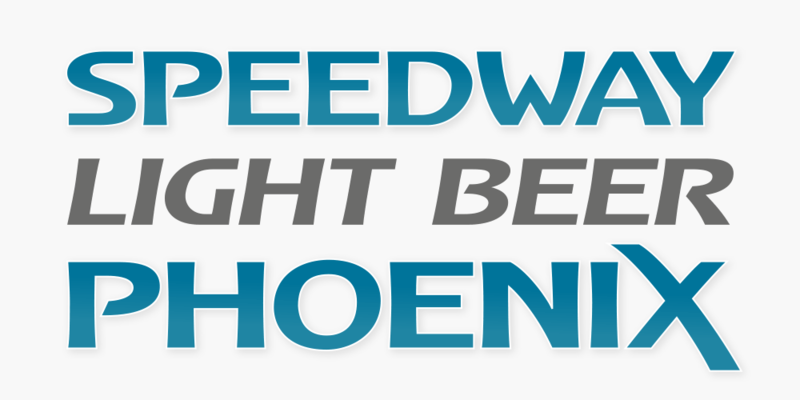 Instead I recreated both the regular and bold design by starting with just the letter skeletons. And I also created two versions again: version A is close to the original design with all its traditional blackletter shapes. 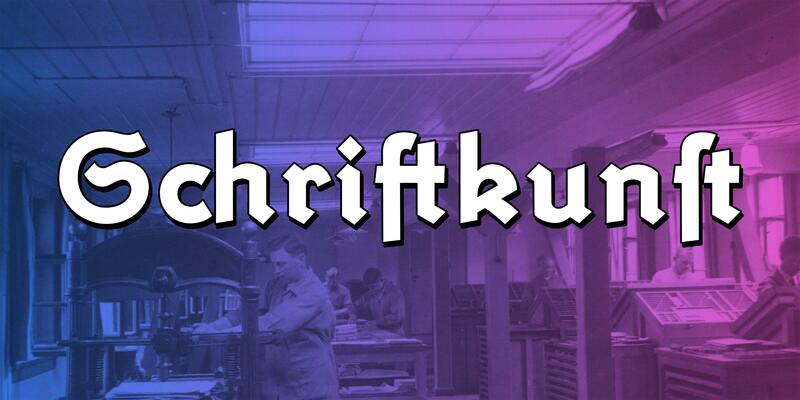 Of course the fonts also include a long s (ſ) and the German blackletter ligatures such as ch/ck/ſch/tt and tz as stylistic set. Version B swaps some letters with roman letter shapes, which are more legible to readers not familiar with the traditional blackletter designs. In addition to the basic set (regular and bold as version A and B), I added some display styles to use Krimhilde as layer font with multiple colors. 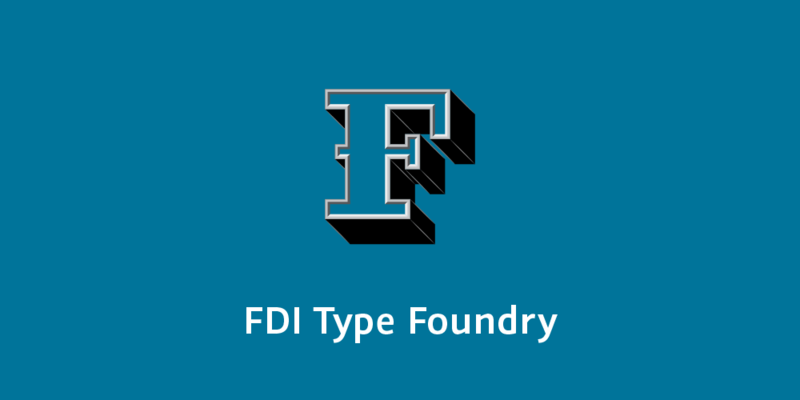 There is a shadow and a fill style available for the regular and the bold version and an outline style just for the bold versions. All Krimhilde styles have a full Latin 1 character set. 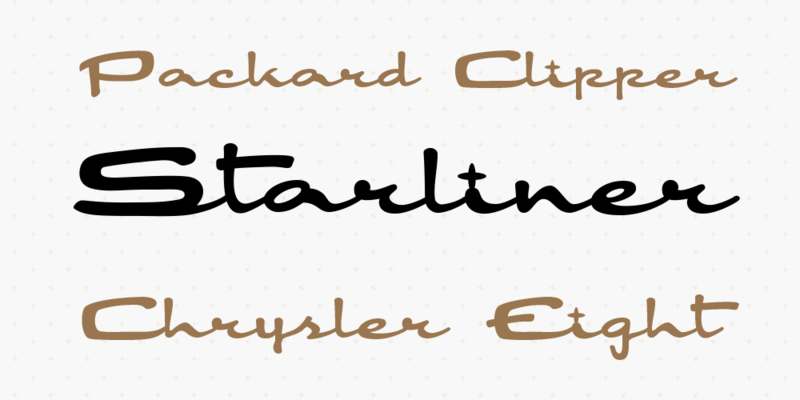 a free style (Krimhilde A regular) is available exclusively to Typography.Guru Patrons.